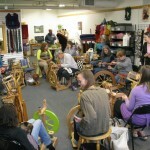 50 Cove Street features PortFiber, offering classes, events, and supplies for fiber artists. Contact Casey Ryder at (207) 780-1345. A Gathering of Stitches is a maker space for fiber and textile artists at 54 Cove Street, East Bayside, with 11 full time studios and four short term rental stations. Equipment available for rent includes: sergers; sewing machines; knitting machines; industrial leather and canvas sewing machines; irons/ironing boards; dress forms; die cutter; dyeing facilties; and screen printing facilities. 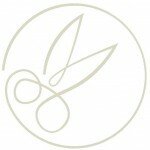 They offer workshops at all levels in sewing, quilting, knitting, crochet, dyeing, screen printing, embroidery, and more. For more information contact Samantha Lindgren at (207) 747-5015, or info@agatheringofstitches.com. 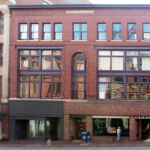 The Artist Studios, at 536 Congress Street, are home to Pickwick Independent Press and have workspaces on three floors above SPACE Gallery and down the block from the Maine College of Art. Contact Christopher Campbell at studiobuilding@gmail.com or (207) 874-0455, for more information. 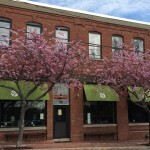 The Bakery Studios are located at 61 Pleasant Street. The building is home to White Dog Arts, Peregrine Press, Wolfe Editions, Art House Picture Frames, and 16 studio spaces. 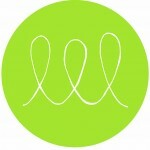 Practices include poetry, photography, printmaking, painting, sculpture, bookmaking, video, and other media. Artemisia Cafe is located in the front of the building. For information email info@thebakerystudios.org. 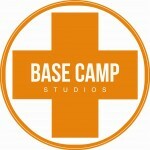 Base Camp Studios is located at 193 Presumpscot street in a warehouse. This spaces houses 12+ artists. For more information, contact Will Sears at williamcsears@gmail.com. Engine Room is a creative collaborative space where entrepreneurs, innovators, and collaborators come together to make it happen. In a building over 100 years old, this modern, open-concept space allows professionals to share their stimulating ideas with one another in an upbeat environment on York Street, near Portland’s Old Port. Contact Engine Room here for more information. 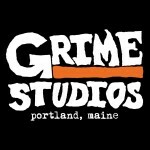 Grime Studios offers affordable band rehearsal space and art studios with 24 hour access. It exists for bands and artists of any craft to create whatever they want, as loud as they want, whenever they want. Grime is located at 299 Presumpscot Street. For more information, call (207) 831-3621 or email grimestudiosportland@gmail.com. 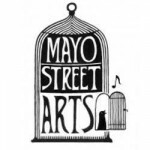 Mayo Street Arts at 10 Mayo Street offers affordable artist studios, dance and theater space, and exhibition space, housed in a historic church. Contact Blainor McGough, (207) 615-3609, or emaildirector@mayostreetarts.org for more information. 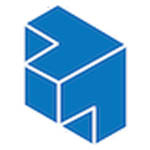 The Open Bench Project at 1 Thompson’s Point is a shared learn/work facility, cultivating a community of makers by providing access to a studio/work space, tools, and resources. The 6,000 square foot facility includes a wood shop, metal shop, lab for 3D printing, and a hack lab. 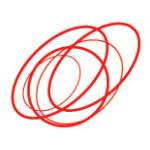 For information on affordable, flexible membership, call (207) 329-8606 or email support@obportland.org. Peloton Labs is a community workspace on Congress Street in Portland, designed as a co-working space for independent and creative business and civic professionals. 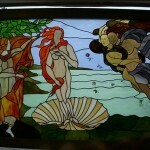 Phoenix Studio, at 630 Forest Avenue, has classes in stained glass, glass fusing, mosaics, studio drawing, and painting for beginners and seasoned craftsmen alike. The studio carries a wide selection of supplies and glass and offers discounts on their retail items when you’re taking a class. For more information, call (207) 774-4154. Running With Scissors, at 250 Anderson Street, is a multi-disciplinary creative work space with over 50 private studios of various sizes, features, rates, and amenities, plus common work space, various equipment for print making, wood working, computer and design work, an exhibition hall, classroom, lounge, and more. For more information contact Kate Anker at (207) 831-5682 or scissorsart@gwi.net. The facility also houses the Bayside Clay Center, a community committed to providing affordable space to serious clay artists. To learn more, email baysideclay@gmail.com. 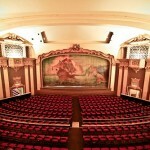 The State Theatre Building, at 142 High Street, is the home to the State Theatre, ground floor retail spaces, and five floors of pet-friendly offices for small businesses and artist studios. Go to suite 513 at 142 High Street, apply for space online, or call (207) 776-4598. for more information. ThinkTank Portland is a co-working space on Congress Street for freelance writers, journalists, grad students, bloggers, architects, developers, graphic designers, and digital photographers.